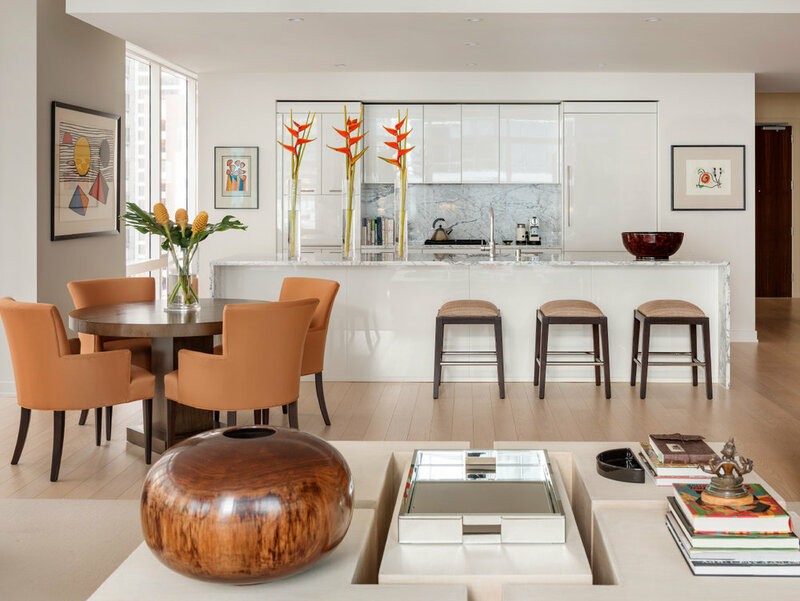 This client’s vision was to create an urban sanctuary, taking advantage of this apartment’s mid-level location in a downtown San Francisco high rise. Structural beams in the living room were enlarged and wrapped in glass to add volume and anchor the custom, adjustable sofa. Custom window coverings subtly encapsulate the room or slide away to reveal a dynamic cityscape. A serene palette is accented with the client’s favorite colors.